According to the PIC, at the station, Senior Constable Mark Ronald Christie took the second breath test for Mr Clunes, which was negative and Mr Clunes was not charged. The allegations relate to incidents in Moree and Orange late last year. The PIC did not recommend any charges against superiors and a senior officer in the Corrective Services Department, who discussed the incidents with some of the officers before the second breath test in each case. In the first incident, in September last year, an officer of the Corrective Services Department, David John Webb, was pulled over for a random breath test outside Moree. He returned a reading of .095, well above the legal limit. But when he was taken back to the police station, officers recognised him, because he worked out of the same station. The PIC, in a report released today, says Senior Constable Phillip William Smith agreed with a colleague, Senior Constable James William Boaden, that Senior Constable Smith would take a second breath test for Mr Webb at the station. This test recorded a zero blood alcohol level and no charges were laid. Senior Constable Smith told the PIC inquiry that Mr Webb's boss, Corrective Services Department Assistant Superintendent John Arthur Weavers, "virtually" said to him: "Can't you get someone else to blow into the bag?" Superintendent Weavers told the PIC he had no recollection of the conversation because he was intoxicated, but "may have" said this. Senior Constable Smith also told the inquiry that his boss, Inspector Jeffrey Budd, had told him to "be careful" about the case, which he had interpreted to mean he should not charge Mr Webb. Inspector Budd told the commission he asked Senior Constable Smith to treat Mr Webb like any other offender. In the second incident, in December last year, Adam Colin Clunes, the son of a police officer, recorded a reading of .202 in a random breath test on a road in Orange. Senior Constable Christie told the inquiry he felt empathy for Mr Clunes and was overwhelmed by the situation. He said he had been involved in several high-stress incidents, had been assaulted and took medication to relieve stress. 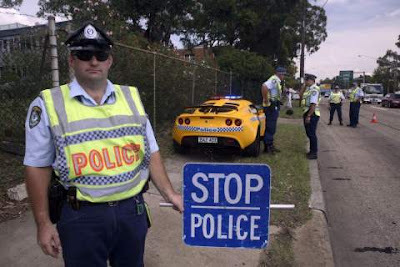 The PIC heard that Mr Clunes's father, Senior Constable Colin Clunes had allegedly told another officer: "You've got to do something ... he'll lose his licence", and that Senior Constable Clunes had previously been unhappy when his son had received a traffic fine. But Senior Constable Clunes told the inquiry he was angry with his son and did not intend for the officer to believe he wanted her to do something to stop his son from losing his licence. The PIC recommended that senior constables Smith, Boaden and Christie be charged.